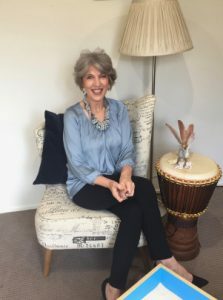 After completing my Master’s degree in Gestalt therapy, the path of family therapy felt like a good fit, having had six children of my own and previously experiencing family trauma. Families under stress with unresolved trauma or addictions can remain stuck in repeated family patterns and I truly believe that when we are stuck or in crisis, good support can be life changing and the difference of enabling us to solve our problems. As a psychiatric nurse in my teens I often saw how difficult it was when a person had little or no support in grief or when tragedy came along. This shaped my life choices as it still does today. I feel privileged to be doing such meaningful work with parents and their children as there is nothing more rewarding than seeing the bonding and love grow stronger over time. I choose differing modalities to attune to my client’s needs. Therapy can provide a safe place to talk without feeling judged, as you learn to notice your bodily reactions to trauma and stress, providing opportunity for insights that can lead to change.